Are potential homebuyers really that picky? Yes they are! Spring has almost sprung and it’s traditionally the time of year when we start to see an increase in ‘For Sale’ boards going up in front gardens nearby. It’s the peak time to put houses on the market; windows and doors can be left open for air to flow freely, outside space is shown at its best and the light inside is generally better for viewings. 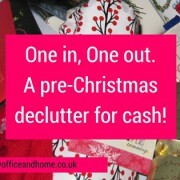 Delay it until the autumn and risk a stressful, lower priced, pre-Christmas rushed sale? Put it off altogether and stay where you are? 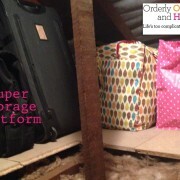 Or take some steps to get your home into order once and for all to show it at its best? 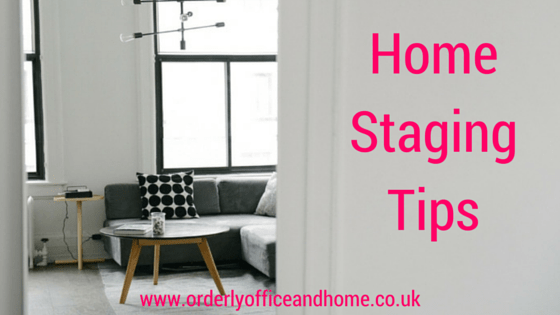 Give your property that ‘home staging’ style & bag yourself a ‘SOLD’ sign before you know it! The lovely guys over at Wayfair UK have created this imaginative Home Staging infographic for me to share with you! Make the most of the upcoming Bank Holiday weekends to get started! 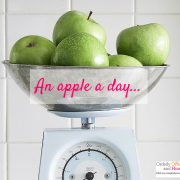 And if you’re in need of some 1-2-1 help to clear the clutter, or to help reorganise and store the possessions in your home whilst you go through the selling/moving process, then just give me a call! 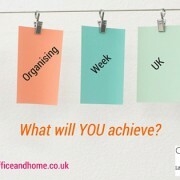 Contact me today to chat about how I can help you to simplify, streamline and organise your home. Are you a stationery addict? 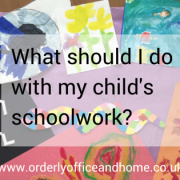 What keeps ME organised?